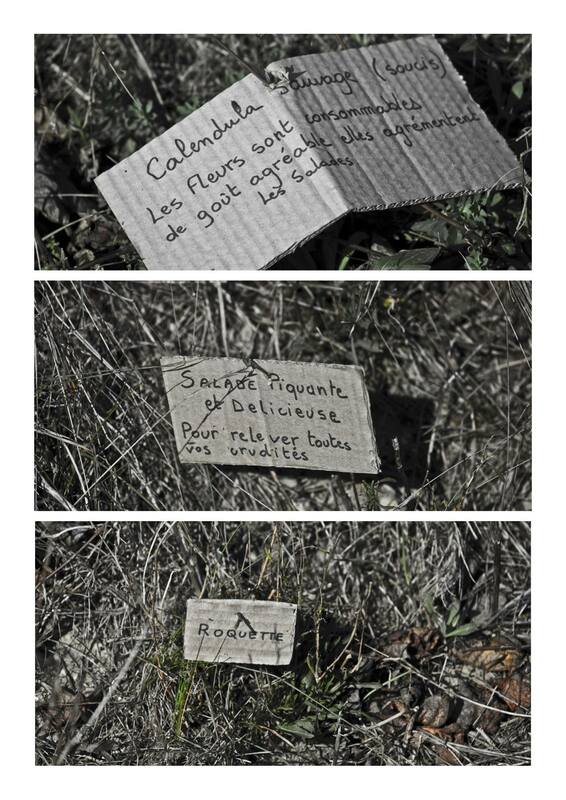 La revue « Jardins » consacre son septième numéro au chemin. Un très belle initiative de Marco Martella qui a fondé pour l’occasion la maison d’édition « les pommes sauvages »*. Il chemine avec l’espoir de rencontrer des plantes singulières, des espèces rares mais le plus souvent il devra se contenter d’une végétation assez commune, des plantes ordinaires, certains diraient des « mauvaises herbes ». 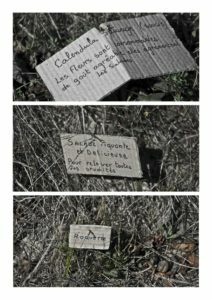 Son champ d’exploration privilégié est la flore de reconquête des terrains perturbés, composée de plantes rudérales (du latin rudus, ruderis : décombres). Non seulement le botaniste s’en accommode, mais il a fini par les chérir, au fur et à mesure qu’il se familiarise avec elles, peut-être plus que les plantes rares dont il continue à rêver. Elles constituent son paysage le plus quotidien, elles lui sont proches. Chez elles il trouve des repères, la chaleur amicale d’un long compagnonnage, mais elles ne cessent de lui réserver des surprises et de nouveaux sentiers de biologie végétale à explorer s’ouvrent souvent au gré de ses vagabondages. De plus, il sait bien qu’il n’est pas près de saisir tous les liens que ces végétaux ont tissés, au fil des millénaires, avec les hommes. When a botanist goes on his way, we know when he is leaving, but not when he will come back. Not that the path is any longer for him than for others. It may even be shorter. A magnifying glass hanging from his neck, flora and a notebook in his hand, eyes staring at the ground, he is on a mission. He botanises, scrutinizing the flora of the roadside. For him « what matters is not where the path leads but the path travelled1 ». He walks with the hope of finding unique plants and rare species but normally he will have to content himself with fairly common vegetation and ordinary plants which some would call « weeds ». His favourite field of exploration is the flora engaged in the reconquest of disturbed land, made up of ruderal plants (from Latinrudus, ruderis: rubble). Not only does the botanist get used to them but he ends up cherishing them as he becomes more familiar with them, perhaps more so than with the rare plants that he still dreams of. They are his everyday landscape, they are close to him. With them he finds landmarks and the friendly warmth of a long companionship, but they never cease to give him surprises and new trails of plant biology to explore often open up during his wanderings. Furthermore, he knows that he is yet not ready to grasp all of the links that these plants have forged with man over many millennia. These are plants that like the open environments that can be found on the side of roads, on embankments, in wastelands and in ditches. They have proven themselves able to overcome adversity, having been regularly mown, cut and crushed, when not chemically eradicated. They are able to live in soils that are saturated with organic matter or nitrogen, as well as in soils that have been compacted by the repeated passage of humans, animals and machines. Because of these constraints, despite the diversity of the landscapes travelled, the plants along the path all have a certain kinship. Many of them are annual or biennial, with rosettes of leaves closest to the ground where trampling is frequent. Whether the path crosses forests or agricultural areas, runs alongside a river, passes through the plains or the mountains and whether it is in a warm or cool environment, it is always accompanied by a floristic procession of its own linked to the impact of the people who passed by. 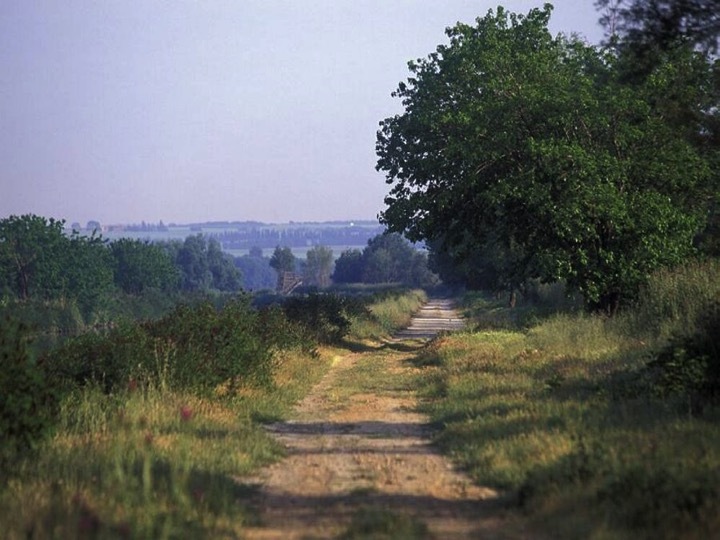 Because just as the paths allow us to travel, they also allow animal and plant species to move around. Therefore the plants alongside the path are often cosmopolitan species that have learned to live everywhere during their travels. Their name reminds us of this sometimes. Whitetop (Lepidium draba), which is known as Passerage des Trains(meaning the Passage of Trains in French), has spread all over the country along dirt and iron tracks. Its seeds, which are very small and light, fly very easily. The simple movement of the air caused by the passage of a train is enough for them to advance along the tracks. This small perennial plant, with diaphanous inflorescences in April-May, is also very commonly found at the edge of fields and paths. There it forms authentic white carpets. Also known as « wild broccoli » or « white bread », it is possible to eat its young leaves although, like many Brassicaceae (formerly called Crucifers) such as mustard or cabbage, it contains a volatile, acrid, burning substance that gives it a special taste. Plantains, which the walker tramples blithely without paying any attention, are another example. The name of their genus,Plantago, says a lot! Could Plant-agobe an analogy for the soles of the feet? The name « White man’s foot »was given to the plant by the Native Americans… European plantains are known to be the first plants that take root where humans have been, their seeds travelling in the bottom of people’s shoes. The Buck’s-horn plantain (Plantago coronopus) or erba stella is often the last to subsist on trampled soil. Its resistance comes from the elasticity of its tissues which prevents it from getting crushed under people’s feet. It is also the plaster of the countryside. Shepherds used to put in their galoshes to heal their blisters. It is known today that its leaves contain aucubine, an anti-inflammatory and antibacterial agent. If one studies the history of these plants that are now relegated to the edges of paths, one realises that many of them had better reputations in the past than they do today. The classification of forgotten vegetables and/or wild salads would certainly suit them better than that of weeds. Be that as it may, these plants, which used to form an integral part of the life of men but that have long since been abandoned, have found a new home at the side of the road. And that is where we can find them. It is also possible to pick some Slender Sowthistle (Sonchus tenerrimus) or Field Sowthisle (Sonchus arvense), close cousins ​​of the Common Sowthistle (Sonchus oleraceus); Small Burnet (Sanguisorba minor) with a taste of cucumber; Bladder Campion (Silene vulgaris)with a pea-like taste, called « pétarel » in the countryside, an allusion to its fruits, which are fun to burst on the back of the hand;the pretty Red Pea (Lathyrus cicera), also known as « jarosse », whose seeds have been found in excavations of Neolithic habitats; oxalis, purslane… If you want to try them, it is best to collect them at the end of winter or at the beginning of spring and not to eat too much. Their young shoots can be used in a salad that is a bit bitter but refreshing or a bourbouilladethat is cooked slowly at low heat. Even the Milk thistle (Silybum marianum), easily recognizable due to its large, white-veined thorny leaves (perhaps in memory of a few drops of Virgin Mary’s milk that fell onto its foliage), can be part of the harvest. It can be found in fairly compact soils. All of the parts of the plant were once eaten. Its roots could be prepared in the same way as salsify, its leaves like spinach (after removing the spines! ), its shoots like asparagus, its flower buds like artichoke and its seeds could be roasted like coffee. The no less cumbersome Greater Burdock (Arctium lappa) was also used. It was one of the plants recommended by the Capitular of Villis, an ordinance published around the year 800, during the reign of Charlemagne, for the imperial lands and courts. The same is true for carrots, roquette, chicory, lettuce, rue, tansy, marigold and mallow (Malva sylvestris). Well before the Middle Ages, in theseventh century BC, the latter was mentioned in the writings of Herodotus, a Greek historian and geographer. It was a very popular dish at the time in ancient Greece and Italy. Ethnobotanist Pierre Lieutaghi believes that this vegetable may even have been consumed by prehistoric populations. It appears that it is sometimes still used in the soups and pies of the Haute-Provence region. Its dried roots also make excellent toothpaste. Alexanders (Smyrnium olusatrum) is also included in the Chapter list, under the heading « tuberiferae » of « root vegetables ». This biannual plant is commonly found in the wastelands of old vegetable gardens with soils filled with water and organic matter, where it grows profusely. Today naturalized in France, this wild celery was most likely introduced by the Romans. Its seed was a used as condiment by the Etruscans. All of the parts of the plant are edible: the roots, stems, leaves, flowers, seeds and even the flower buds. In the fifteenth century, the Alexanders were dethroned by the cultivated celery (which tastes weaker) and it disappeared from our diet. However, until the end of the seventeenth century, gardeners could still find them at seed stores. In cold environments that are rich in organic matter and polluted by old scrap, it is often the Common Nettle (Urtica dioica), famous for its soups, which reigns supreme. On walls, we can find the salad of walls, Navelwort (Umbilicus rupestris), whose thick leaves, with a navel-like shape, are eaten raw or cooked. Could roadsides be the last refuges of plants that have changed status, going from useful to abandoned? Do they shelter species of vegetation whose uses have been forgotten after we lost the link that once connected us to them, when they were used as food or for medicinal or magical purposes? Have roadsides become the spontaneous conservatories of forgotten flora? It may be about time to start considering them as such because, as we have seen, they host certain species that are the origin of our cultivated plants, such as lettuce, carrots or chicory. These wild plants constitute veritable genetic reservoirs that are useful for the improvement, or even the survival, of species domesticated by man. They are also, perhaps above all, the allies of an entire fauna involved in maintaining the ecological equilibrium of the surrounding environment, an ecosystem of which we ourselves form an integral part. And they are waiting for us alongside the road. 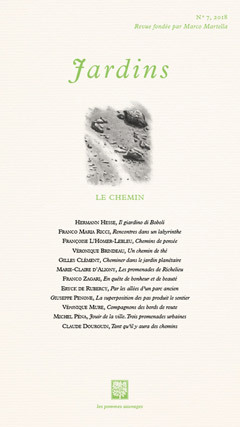 David Le Breton, Eloge de la marche (The praise of walking), Paris, Métailié, 2000. Jean de Boschère,Le Chant des haies: flore et faune des lisières(The song of hedges: flora and fauna of the forest edges),Paris, Editions de la Paix, 1952. 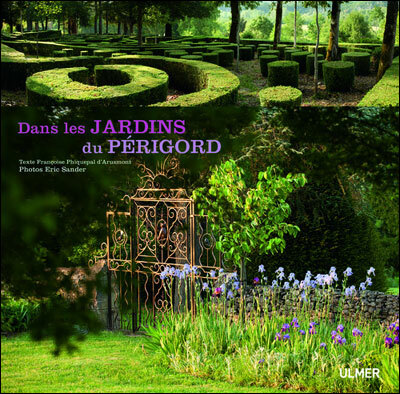 Les jardins de la Bigotie dans le nouveau livre d’Eric Sander : « Dans les jardins du Périgord ».